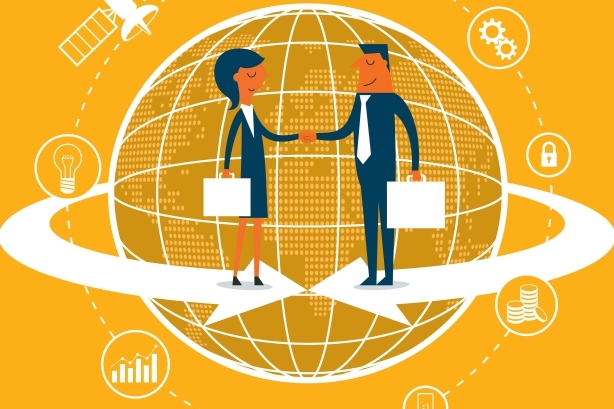 Trust is up in the U.S. and globally, according to the study. NEW YORK: Trust in institutions, such as businesses, NGOs, and government, rose in the U.S. and globally, according to Edelman’s 2019 Trust Barometer. In the U.S., the general population’s overall trust increased six points year-over-year to 49% on Edelman’s Trust Index, meaning it’s on the cusp of meeting a neutral rating (50% to 59%). Trust for the informed public jumped 15 points to 60%, putting it on the lower end of Trust on the index (60% to 100%). Despite distrust remaining high in 15 countries, down by three in 2018, the general population inched up three points year-over-year to 52% on a global basis. The global informed public gained four points year-over-year to 63%. Recent events that would shake people’s trust occurred after the period when Edelman conducted its research, David Bersoff, SVP and head of global thought leadership research at Edelman, told PRWeek via email. As examples, Bersoff cited the stock market’s drop and the government shutdown, which would have likely dragged down the trust in the U.S. In the U.K., Prime Minister Theresa May’s failed Brexit plan would have had a similarly negative effect. "It is quite likely that if we fielded the survey now, the numbers would be lower in certain markets," Bersoff said. The "trust-depressing volatility and uncertainty" in Edelman’s 2018 Trust Barometer was new or recently exacerbated, he explained. "In response, some people may have assumed a worst-case scenario," said Bersoff. "Fast forward a year and while things have not gotten better in many cases, the sky has not fallen and the other shoe has yet to drop. We may be seeing a sense of moderate relief uptick." He added that any trust gains seen in the 2019 Edelman Trust Barometer do "nothing to ameliorate the fact that belief in the system is languishing at 20%." This year’s Trust Barometer also found that people trust the relationship they have with their employer. Edelman’s research team claims this is the most trusted relationship people have with any institution, with 75% of respondents saying they trust their employer, beating NGOs (57%), businesses (56%), government (48%), and media (47%). The Trust Barometer was conducted via online survey, with 1,150 respondents from each of the 27 markets it examined. This year’s survey wanted to focus on the employer-employee relationship, so 55% of the survey’s global general population sample are full or part-time employees and from each market, 500 multinational employees participated. Employers led all institutions because "trust is local," said Edelman’s global chair of reputation Stephen Kehoe. People trust an institution if it’s familiar to them and if they have leverage -- qualities a solid employee-employer relationship has. "There is an innate inclination on behalf of employees all over the world to put their trust in their employer," Kehoe said. "[That means], I trust them to give me a voice and talk about issues that may be controversial in society. I trust them when they communicate to me that the work we do has a greater benefit to society than just making money for shareholders. I trust my CEO when he/she talks about values and what that means to them in the context of organization they lead." Employer-employee trust pays dividends across a number of variables. Respondents that trust their employer are more likely to advocate on their behalf (78%), show loyalty (74%), be engaged (71%), and be committed (83%). "When you’re in a situation where you’re worried, or you’ve lost faith in the system or you have a desire for change but have no way to make it come about, that employer-employee relationship is the island in the storm," Bersoff said. "That is the one relationship that’s trusting and personal and local where they think they can have an effect and it’s a relationship with an entity where they can get something done." Meeting employees’ expectations then is critical. Those expectations now include employees’ work having a social impact, opportunities at work, and personal empowerment. But employees are already taking the matter into their own hands, the study noted. For examples, it cited the Google walkout, in which 20,000 employees participated as a protest against several policies around how the company handles sexual assault. Edelman’s own report said 67% of employees expect their employer to actively join them in advocating on social issues; and 76% want CEOs to lead on change instead of being forced to by the government. Only one-in-five people in the mass population and informed public believe the system is "working for me," while 34% of the general public and 40% of the informed public said they weren’t sure how the system was affecting them. Additionally, 46% of the mass population and 39% of the informed public said it was failing them. Far more people are consuming and engaging with news content. Of those surveyed, 40% said they consume news at least once a week, and share or post content several times a month or more. Only 26% could say the same thing last year. 32% said they consume news at least once a week, an eight point gain over last year. Only 28% said they consume news less than once a week, a 21-point plunge from the year prior.